﻿ Garcia Legaspi Mansion, Kalibo | FROM $18 - SAVE ON AGODA! 3rd Floor, Garcia Legaspi Mansion, 1016 Roxas Avenue Kalibo,, City Proper, Kalibo, Philippines, 5600 Aklan Phils. "Near food stalls and airport." Have a question for Garcia Legaspi Mansion? Well-placed in the sightseeing, beaches, culture area of Kalibo city, Garcia Legaspi Mansion provides a most conducive spot for you to take a break from your busy days. From here, guests can enjoy easy access to all that the lively city has to offer. No less exceptional is the hotel's easy access to the city's myriad attractions and landmarks, such as Museo it Akean, Kalibo Cathedral, Aklan Museum. At Garcia Legaspi Mansion, the excellent service and superior facilities make for an unforgettable stay. 24-hour room service, free Wi-Fi in all rooms, 24-hour front desk, Wi-Fi in public areas, car park are just a few of the facilities that set Garcia Legaspi Mansion apart from other hotels in the city. In addition, all guestrooms feature a variety of comforts. Many rooms even provide television LCD/plasma screen, mirror, towels, closet, internet access – wireless to please the most discerning guest. Whether you're a fitness enthusiast or are just looking for a way to unwind after a hard day, you will be entertained by top-class recreational facilities such as massage. Superb facilities and an excellent location make the Garcia Legaspi Mansion the perfect base from which to enjoy your stay in Kalibo. Facilities are not very good, but the boss and staff are very friendly and service is good. Near food stalls and airport. We were able to visit the museum, park and cathedral by walking from the hotel. 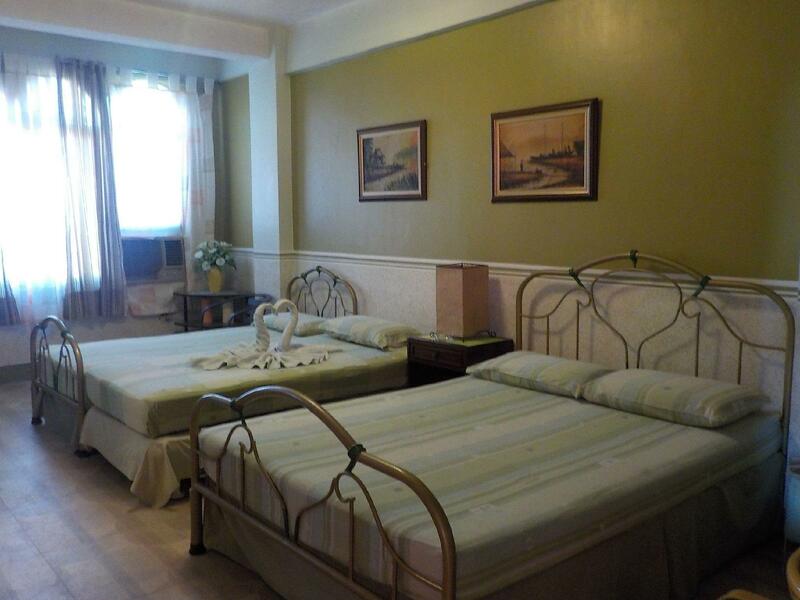 Adequate for a one night stay, small room. My wife and I didn't care for this place so well. We only stayed one night, though, on our way back from Boracay, so it wasn't too bad for us. But the walls and ceiling were dirty with I don't know what. The bathroom had a few bugs. On our way out, as I was considering what I would put for my review of this place, a bug crawled out from under my wife's luggage. Either a beetle or a cockroach. My wife instantly smashed it before she could determine which. She liked the pattern of the bedsheets, though, and appreciated the TV to watch while we waited to sleep. The building just seems very old. Most places in Philippines have outlets that have holes shaped to take a few different plug types, such as Types A, B, C, E, and F. Both our US and Korean electronics fit. But at this place, they had older sockets that only take US plugs without the grounding pin (type A), so I had to use an adapter to plug in and charge my electronics. Make sure you have one if you stay here. Ok. We considered ourselves very lucky we got a room at all because everything was fully booked in Kalibo, but the room was much smaller than advertised, had no windows and was moldy. Shared bathroom was dirty and smelly. Staff was very friendly. They go the extra mile for making you comfortable and help you with everything you need. Unfortunately, noisy street, but I still believe is the best option in town. As mentioned in other posts, Mr. Legaspi went out of his way to help us in our one night at his hotel. We were only there for one night after leaving Boracay and had a morning flight out of Kalibo. Mr. Legaspi sent us to a nice restaurant, and was very kind and helpful when we were having trouble with our airline (note: Philippine Airlines is terrible and avoid them at all costs! AirAsia is far better). There was also a boy working with Mr. Legaspi who was very sweet. He gave us directions to a nearby supermarket and must have watched us walking down the street, because he appeared a few blocks later to show us the right way. Most locals barely point in the right direction. We stayed in a standard room, which is small but fine for one night and there is an A/C unit that was very cold. My only disappointment was this room does not have hot water and that is not made clear on Agoda. You need to book the deluxe room if you want hot water. The room is also quite loud because it is on the main road. This wasn't a huge burden for us because we departed early in the morning, but don't expect a peaceful slumber without earplugs. I definitely recommend Garcia Legaspi Mansion for an economic night's stay. The van from the boat terminal dropped us almost directly in front of the hotel, so it was a central location (they charge 50 pesos less if you are going to Kalibo town instead of the airport so be sure to negotiate). 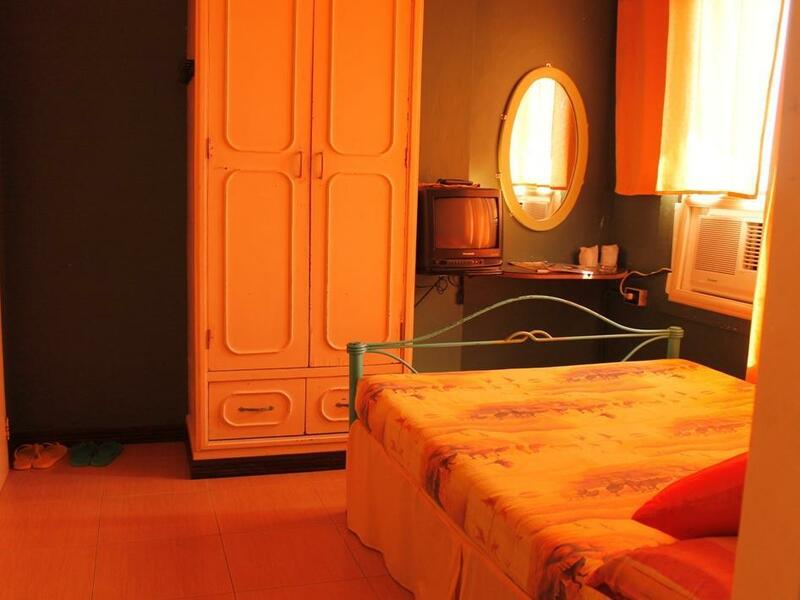 This hotel is located in the very center of Kalibo city. 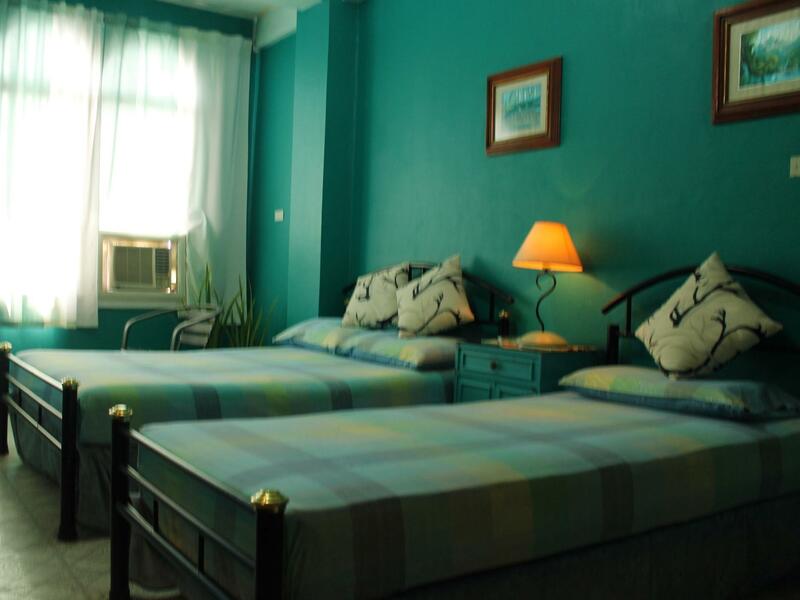 Although it is in a small old building and has few rooms, the room is clean enough to feel comfortable, the shower provides hot water, and you can expect good hospitality from both the owner and the staff. 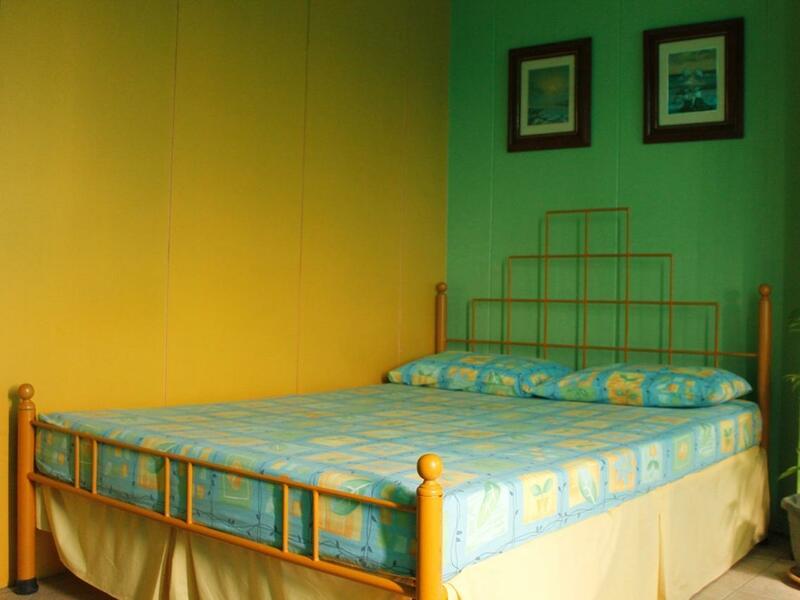 The owner, Gerwin, is great, it's close to Kalibo airport and airport transfer. I stayed here for 2 nights before moving onto Boracay Island. The owner is more than accomodating and friendly - he helped me with all sorts of things - such as walking me to a shop, airport transfer and ordering dinner for me to the hotel. It's very close to Kalibo airport, which is useful. If you're looking for a place close the airport before a trip elsewhere, I would recommend it as a pit stop. Value for money. We were well taken care of. We also had a change in airline scheduling having to add another day to our stay without any troubles. Will certainly reserve again if in the area. Very frendly and helpful, lots of hotel managers could learn from MR. Garcia. I could not make it to the hotel due to Typhoon on 10 Nov 2013 the airport was still closed. But my spouse traveled stayed there. Mr. Garcia was very helpful and even told my spouse that due to no electric in the city because the typhoon he was would to take her to any hotel that had a generator and pay for her room their. She elected to stay there where she was treaded very well. On the return trip back to Kalibo on the 16 there was still no power to the city. Once again Mr. Garcia drover us around to find accommodations. I was really surprised of his hospitality. I will also stay there now. It a small hotel but he respects his customers and will do what ever need to help the traveler. Great job Mr. Garcia. Everything was fine, since Kalibo is basically just a stopover on your way to Caticlan/Boracay. The owner and hotel's staff are truly welcoming, friendly and very helpful. Rooms are OK, ours was even far more spacious than I expected. Only stayed 1 night on way to Boracay. Price was reasonable 1000 pesos standard room. Internet only in lobby. All the rooms are on the street side and full window covers the room , which makes the room very noisy with traffic all night. Manager was helpful. On way back to Cebu i found a cheaper and quieter hotel Bee Bee lodge its a bit less than 800 pesos a night. Easy to get to, stay at and depart from. The manager was great: answered all my questions, told me the best places to eat nearby and helped with transportation to the airport. Great for an out-of-towner.